This accidental entrepreneur is trying her hand at a small business. How did I get started on the self-employment track? By accident. And that’s because I’m not really much of a risk taker when it comes to my career and income. I’m much more willing to take risks with investments, yes. But with my work income? I’m a little bit more nervous about that. So when I tried my hand at an online web experiment, the last thing in my mind was that I’d turn it into a “business” or a new “career path”. Well that’s what I did with regards to blogging. Becoming a “pro-blogger” was the last thing I’d ever thought I’d become, but not two years later, I guess I’d describe myself as one. Quitting my job and leaving my IT career for now was something I wanted to try, to see if I could sustain my household financially by blogging full time and by doing other independent projects as a freelancer. So how’s it been so far? Pretty good. It’s done wonders for my overall health and disposition since I’m the only one around who breathes down my back to get things done 😉 . Income-wise, I can say that I am “getting there” (or getting by…). I haven’t been in this entrepreneurial mode for too long, but I thought to let you know about some of the things that I’ve learned so far, as someone newly self-employed. #1 Cater to your strengths. A lot of folks start businesses they don’t have much background in, maybe because they hear that it’s lucrative, or a special opportunity; their business idea may have come from some eureka moment or through someone else’s determined persuasion. But I believe that you’ll have a better chance at success with a small business if you do something you enjoy and love, and that you’re good at doing. I personally don’t believe it’s enough to say that your business is filling a need. You should actually be good at filling that need. You’ll also have fewer frustrations when you tackle tasks that you’re familiar with and that you like performing. A great start would be to consider looking at your hobbies and seeing if there’s anything you can turn into a small business. For instance, if you enjoy taking care of your kids, perhaps opening a day care center is something you’d like to try! I’ve got a few friends who’ve gone this route and who are now having quite a blast running their dream ventures. #2 Understand your goals and pace yourself. When people think of starting new businesses, many times it’s to pursue an idea that comes to mind. For others, they do so out of necessity and they become creative about addressing that necessity. All well and good. But throughout the startup experience, it’s important to manage your expectations and pace yourself well to avoid burnout. I’ve seen a lot of people give up when their inflated expectations aren’t met or when things get overwhelming, when in fact, they’d probably do well if they gave their projects a chance to grow a while longer, albeit at a more manageable pace. Also, if your main goal for doing a business is to “make money”, then you may be starting off on the wrong foot. If you create a business to achieve other goals beyond the financial, you may find that your business may have longer staying power and a healthier chance to succeed than if you were simply aiming to make money (or get rich) 😉 . #3 Don’t think it’s easier than your regular job. I thought that by turning an experiment or a hobby into a business, it would be easier than commuting and working at my day job. But it actually isn’t. And I figured that it’s because I was taking this venture more seriously and that I care about it more than many other “jobs” I’ve had in the past. I’ve begun to put my heart and efforts into my fledgling business in a way I haven’t done in the past and am now investing more into it. It’s certainly a lot of fun, but anyone who starts a business can tell you that it entails a lot of work, effort, time, discipline and dedication to make it take root. I’m big on risk management and I usually take the most conservative approach that makes sense in a risk-filled situation. What I mean is that although I’ve accepted risk in many financial scenarios, I still try to keep those risks as low as I can. As someone who recognizes that she’s no longer a spring chicken who can easily bounce back from big losses, I try to stay prudent about the choices I make. So how does one control their risks? Again, it goes back to being somewhat familiar about what you’re getting yourself into, doing something you’ll be happy through thick and thin (since persistence increases your chance of success), and recognizing your strengths and limitations. You’ll need to know when to keep working at your idea or when to cut your losses. And most of all, don’t get into self-employment without having a savings cushion to help you through leaner times. #5 Do you have an alternative plan (Plan B)? I entered into self-employment making sure that I had my bases covered before taking the risks. I told myself that if I didn’t see progress with the work I was doing over X number of years, I’d think about doing something else or go back to corporate America if need be. I also made sure I first had the money to help cover the deficits I’d be generating with a business that had no income. I gave myself a time limit to make the business work out, based on how much savings we had to tide us over. If this doesn’t work out, I could always get a “real” job, right? Also by developing a business that would continue to help hone my skills that would be useful in alternative careers, I hope to keep myself “up to date” and be someone always worth hiring in some gainful capacity. Part of taking risks is to be prepared for potential loss, and to know how to bounce back from that loss. #6 Settle into a routine that works. Find a separate work area for your projects and business. I read about a woman who runs her incredibly successful paving business out of her closet! Stick to a regular daily schedule. Treat your work at home like you do your job and carve out hours in your day for focused work. Use lists, planners and organizers. Again, these are tools to help you stay focused. Establish rules with members of your household. I’ve got little kids running around the home… All. The. Time. It helps that I’ve got someone to watch over them when I have to get work done. The key is to pretend you’re not even at home. If you’re running a business from home, treat it just as seriously as you’ve done any job you’ve held. #7 Go for substance before style. Sell something with value. Can you sell something that doesn’t exist or doesn’t hold up to its value? Unfortunately, a lot of companies out there sell you stuff that isn’t worth your dime, while many startups are able to sell a premise or an idea before they take a crack at product development. This approach may have worked during the dot com era, but these days, customers clamor for substance. As entrepreneurs, we should continue to think like the customers we also are, and ask ourselves: would we buy our own products or hire our own service? Or as bloggers, should we take our own advice? Let’s be real now…. #8 You’ll need a lot of patience. It takes a while for a good idea to bake, although in some cases, people have been extremely lucky with ideas that have caught on like wildfire and have done well almost immediately. Most of the time though, businesses require time to grow and achieve your measures of success. What’s important is that you’re seeing progress and noticing growth in your business commensurate to the effort that you put into it. #9 Don’t forget to tie up loose ends. As usual, I’ve written a tome, but I hope that some of the thoughts I’ve offered will give you some idea of what it’s like to be a small business owner (okay, a *really* small business owner), from the point of view of an accidental entrepreneur. My experience should prove that anybody can be an entrepreneur if they’ve got something they love to do and have something to offer! This writeup is part of the Money Blog Network group writing project. Check out these articles on entrepreneurship for more great advice! Mighty Bargain Hunter: Are You Thinking of Quitting the Nine to Five? Consumerism Commentary: Can You Be an Entrepreneur In Your Spare Time? Personal Finance Analyst: So You Think You Can Sell Banana Peelers? How To Create More Jobs In America? Cut The Red Tape! When Is It The Right Time To Start A Business? You certainly make some excellent points, and have done what many have not been able to do: learn as you go! Obviously it would have helped knowing all of that going into your venture, but like you said, becoming an entrepreur was simply an accident. I was in the same boat as you. I absolutely loved the internet and how it worked and found myself just creating websites for the fun factor. 2 years later, it turned into a full-time hobby/job. I absolutely LOVE it and defintely agree with all of your points. The main point I can’t stress to my jealous friends is that it does involve work and it isn’t a sit back and drink coffee all day job. YOU have to patience and yes, a work time schedule. Keep up the great work! In general, entrepreneurs lack the direction and more importantly a SYSTEM by which they can make decisions and take actions to achieve their entrepreneurial dreams. All of the items that you have mentioned are helpful, significant items to any entrepreneur. However, most people are still left asking, how do they fit together in some sort of an entrepreneur system? Great article and a possible roadmap for my future aspirations. Thanks – a good friday read. Thank you so much for the tips! I will be asking a lot of questions I’m sure!! Number three is an important point. I think a lot of people get into full-time blogging — or any business — assuming they’ll have more time for their family, less stress, etc. Not usually… particularly if they’re really striving for success. Thank you for sharing your story. It’s great to read this group project articles and see how many of us are not a “big risk taker”. I think letting go of your job is a pretty courageous move. I’m a big fan of #3 Don’t think it’s easier than your regular job. I envy any of you entrepreneurs who’ve managed to make a success of it. Great post, every time I read something like this it just makes me more eager to start out on my own. As I was reading the “make money” thing that you mentioned in the second paragraph of #2, I was thinking, “Create value for someone else…” Then I get to #7 and bazooka! There it is. As most people have said, #3 is very important to take note of. When you’re starting out, you don’t realize just how hard it is and how much you have to put in before you can actually start making the same income as a full time job. It can take some people years to get to the point where they don’t have to work more than a few hours each day. I am trying to get to that point as a pro-blogger, but I need to double my income for it to at the level of my current day job. I have such a hard time keeping traffic levels up. I guess you’re right though, I need to be patient. It’s been 2 years, but it might be another 2 before I start making full-time income. Some thoughts: When something has value, it immediately assumes that it’s something of quality. Sure, some people can probably make money out of nothing, but to make money this way would be harder to pull. Everyone has a skill or talent that they can “sell”, and if you can address a demand in the process, then you’ve got a market for what you can offer. I’m not even sure that anyone can truly claim that a ‘few hours each day’ is all they spend running their business, unless a strong foundation is built for it. Also, most entrepreneurs I know who can afford to work only those few hours per day simply don’t, because they’d prefer to grow their business and take things to a higher level. That sounds about right! I personally think that it’ll take me 2 more years to *actually* replace my previous job income. If I freelance part-time, I’ll probably be able to replace my previous day job income in another 6 months to a year. But without contract work, it’ll take me sometime to make that full replacement. But after that, can you imagine how cool it would be to reach your goals? That would be a thrilling milestone! There is a key concept that must be emphasized about starting a business. We are stepping into an economy that thrives on competition. We cannot expect to succeed if we go the minimum distance. There must be a passion and a drive to see creation at its best! Thanks for the post. When I am in the work at home mode the key for me is the daily plan/routine you mention. Very well said. It is nice to hear some common sense for a change, rather than just hype. I might add expect to invest in continuing self-education. The internet changes so rapidly that you need both a foundation and strategy you believe in, as well as a way of updating yourself. Thank for the post. Nice car number! I agree that this is an excellent post – the kind of thing that any person thinking of starting a business should consider. The point about setting realistic goals is a tough one. If you’re going into a business that is completely new to you, setting realistic goals is unlikely. What you think is realistic and what really is realism a year down the track may be very different! Being a professional blogger is not an easy task when it comes to write nice and valuable articles, but everybody can write about something. This is a great business advice article. It covers all the aspects, I am thinking to relocate my business soon using a professional company and seeking new challenges for better success. That’s awesome: I think it just goes to show how many different jobs there are for people to do. Everyone should be able to find something they enjoy going to work for. A lot of these tips are the sort of things that people forget when starting on their own, so it’s a good list. A lot of people think it will be easier than their regular job, but often, they don’t realize just how much “others” in an organization do that they now have to do themselves! I had to laugh when I came to #5, “I also made sure I first had the money to help cover the deficits I’d be generating with a business that had no income.” I don’t have any choice, I have very little savings, am $40,000 in debt, 45 years old, haven’t had enough time or experience to truly master any of the core jobs I have the best chance of succeeding in, and there are no real jobs in my area to be gotten, besides perhaps cleaning or flipping burgers, both of which would further destroy my damaged feet. Which is why I also loved #1, “Cater to my strengths.” I have good writing skills, am a great teacher, and am a natural storyteller, so my list includes trigger point therapist, workshop instructor, blogger , non fiction writer and comedian. I finance all this by selling and trading my massage therapy skills and doing chair massage at any fair with low admission fees or who will split my take. I live on a whole lot of potatoes and Ramon noodles, and invest whatever money I make from one stream into financing others. Gotta admit, your way is indeed much safer, and would be the route I’d take if I had the choice. Since I don’t, my way is much more interesting and scary. I will start blogging the journey on Making My Own Work blog on August 6th, and yes, it will have some advertisements on it to bring in some income. 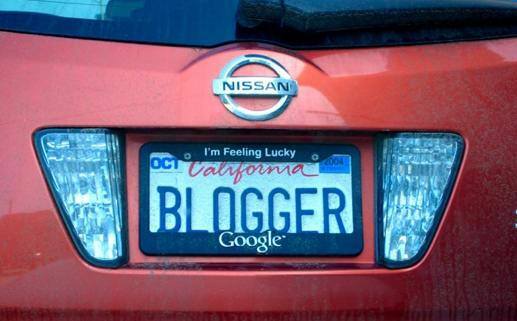 Silicon Valley Blogger, I hope you don’t mind my plugging my own blog on yours. I found yours on Brip Blap, and thought it had all sorts of practical articles and links to other good blogs in it. Thanks for the help; will definitely keep checking in. I am new to blogging and sometimes find it quite intimidating. What drove me into it was the advice I read from one of the blogs I came across that said you have to be consistent if you want to succeed. There will be times you feel like giving up but just be consistent and do not go astray in what you’re doing. Armed with that inspiration, I decided to try blogging. Great post. People have to understand that this is no different from any other career they could pursue. There will be hardship, there will be expenses and it doesn’t help that there are many “turn-key” solutions out there that promote a push-click answer to something that actually requires so much more than that. Thank you for your words and for sharing your valuable insight with would-be entrepreneurs. Everyone needs a dose of reality. I’m currently involved in a case-study of sorts, tracking my progress and helping the entrepreneur start their own business by adhering to good business ethics. Feel free to stop by and see what you think at Natan’s Marketing Experiment! Agreed! Here’s an example of how things can change on a dime in the online world — my post on how Google got me may shed some light on how unstable it can get. It’s very competitive to do online work — many businesses go boom and bust and it doesn’t take much to wipe out. The key is resilience and having something new on the table. Other takeaways? Diversify your efforts to some degree so if one income channel tanks, your entire livelihood is not threatened. I started my own consulting business 4 years ago while working full-time and with 2 kids. Since then, I’ve QUADRUPLED my salary, work less, and have a lot more flexibility. Along the way, I found that creating a supportive network of other entrepreneurs and setting up a structure to be productive is the best antidote to losing steam and failing. It’s nice to talk with family and friends about your dream and what you’re working on, but chances are that they won’t understand and won’t be as interested as other entrepreneurs. Creating a mastermind group of other like-minded people can really propel you forward and keep you energized. I’ve found that fear often stops aspiring entrepreneurs from starting their business, and on my blog (http://www.StartMyConsultingBusiness.com), I talk about how to overcome those fears. I also talk about practical, concrete things you can do to start and run a successful business, along with tools, tips, tricks, and techniques for automating your business and keeping costs to a minimum. Most importantly, just start someplace and do something on your business each day. The more you do, the that you’ll find that things will start happening (i.e., the harder you work the luckier you become). Have A Mind For Business? When Is A Business Expense A Tax Deduction?